OSWEGO, NY – Congressman Dan Maffei stopped by and viewed The Oswego Fire Department’s new boat, Marine 1 recently. 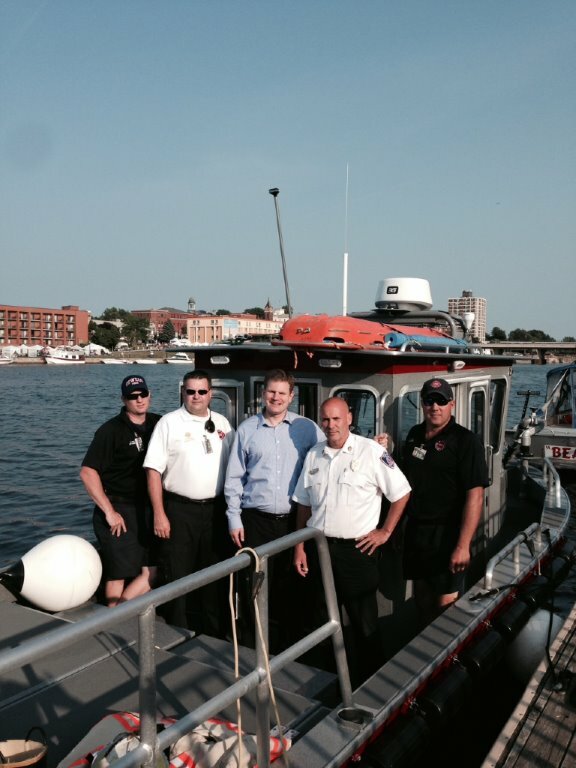 Through efforts of Maffei, the city of Oswego secured a Port Security Grant and along with local funding made the purchase of this rescue boat that also provides firefighting capabilities possible. Pictured from left are: Firefighter Clark Stacks, Deputy Chief Jon Chawgo, Congressman Maffei, Fire Chief Jeffrey McCrobie, and Firefighter David Lacey.